Walt Mossberg joined The Vergecast this week to discuss his first impressions on Apple's updated Macbook Air. 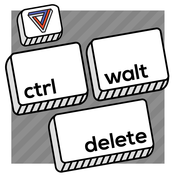 Ctrl-Walt-Delete returns for a special episode all about the iMac 20th anniversary. Walt Mossberg and Nilay Patel reminisce on the introduction of Apple's iMac, and how it influenced the open web and computers going forward. On Friday, June 9th, Walt and Nilay recorded the final episode of Ctrl-Walt-Delete live in front of an audience at the School of Visual Arts theatre in New York City. They also had a frequently mentioned special guest on the show, Dieter Bohn. This is the episode you’ve been waiting for. After a two-week break for Code Conference and Apple’s Worldwide Developers Conference, Walt gave us his takeaways from the interviews at Code and the new products announced from Apple. Nilay and Dieter join Walt in speculating what’s next for their world of consumer tech and tech journalism, with a live Q&A as well. I’d like to take this moment to thank everyone who listened to any episode of the show, those who subscribed, those who read and commented on these posts, those who went to our live shows, and those who sent us feedback, insight, and intros for the show. 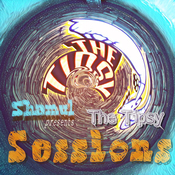 This podcast became a success because of all of our listeners, and we greatly appreciate it. Stay tuned for more podcasts and audio projects from The Verge. Walt Mossberg’s final weekly column at The Verge before retirement was published today. Our beloved podcast Ctrl-Walt-Delete traditionally echoes his column, and this week’s episode (our 75th!) is no different. In our last episode recorded in studio, Walt and Nilay talk through Walt’s column and the future of tech. The show also focuses on each of the big tech companies and what is possibly in store for their future. This is an episode you are not going to want to miss. And I know what you’re thinking... the last show? Well, kind of. We are happy to announce that we are doing a live taping of Ctrl-Walt-Delete for our final show! Come hang out with Walt and Nilay at the School of Visual Arts in New York City on June 9th at 6PM ET. Stay tuned for more details and tickets on the site. Our news week edition of Ctrl-Walt-Delete continues! Google I/O 2017 kicked off on Wednesday, and we recorded this week's episode of Ctrl-Walt-Delete immediately after the opening keynote to get it in to the episode for you. There was a lot that happened so Walt and Nilay break it down for you. Also, the duo talk a little bit about the Windows hack that was leaked from the NSA and what this could mean for Microsoft and software updates in the future.